The latest round of additions to the Saving Country Music Top 25 Playlist start with a superb new song from Ward Davis off his new Asunder EP. If you’ve ever been through a tough divorce, or even if you haven’t, “Good and Drunk” hits you right where it hurts in the best way. It’s a late addition to one of the best songs released in 2018. Up next is a song that goes in the opposite direction called “The One That You Love” from Texas panhandle band Comanche Moon. Their latest album Country Music Deathstar was just reviewed on Saving Country Music, and this song adds a little necessary positivity to the playlist. The solemn, vintage, faraway feel of “Pickup Cowboy” by Jonathan Byrd is next on the list. It’s the title track from his latest album. It takes one special song from the mainstream to make the playlist. It’s not that mainstream tracks are discriminated against here, but they usually don’t need the help from Saving Country Music, and are usually not good enough to include. However Maddie & Tae’s “Die From A Broken Heart” continues to outperform for a non radio track, and is doing something special that is worth recognizing. One of the reasons songs by women are disappearing in the mainstream is because the artists and songs that show real traction aren’t always the ones that make it onto radio or playlists, like “Die From A Broken Heart.” It also happens to be a really good song, even if it’s from a slightly younger perspective than what some may expect from this playlist. And last but not least, a new track from Colter Wall called “Raisin’ Cotton” from the Texas Cotton movie soundtrack makes the list. It’s one of many worthy songs from that compilation. The Saving Country Music Top 25 Playlist primarily lives on Spotify, but is also available for those who use Google Play, and on Apple Music thanks to Country Exclusive. For those who don’t stream music, you can still find the song recommendations in list form below. 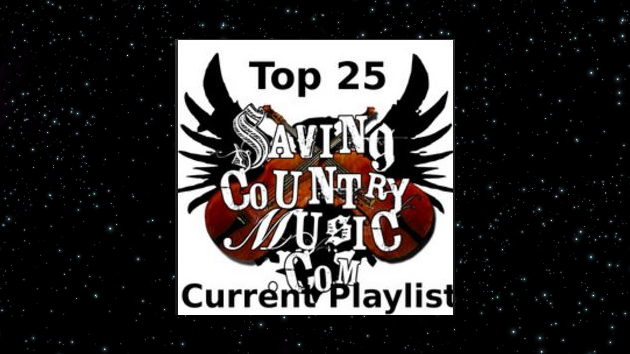 CLICK HERE to Follow Saving Country Music on Spotify, and/or follow the Spotify Top 25 Playlist. Raisin’ Cotton is a great track, and I also love Around Here. I only wish more songs from Texas Cotton could make the cut. That’s an overall good listen. I don’t use Spotify but all artists & songs should be on Spotify, YouTube, Amazon Music, Google Play & other streaming services. Feel free to create a playlist. My playlist contains more mainstream country tracks with a focus on Texas & Australia. I agree 100% about ‘Joy and Misery’. ‘Earthquake’ and ‘River Rolls’ are equally impressive. One of my favorite albums of 2018. I’m glad to see Comanche Moon here, although I don’t care for TOTYL quite as much as Solid Ground or Colorado Bound. Trigger, is the ‘Carolina Confessions’ album by the Marcus King Band on your radar? I just recently stumbled upon it but its pretty damn impressive. The Marcus King Band and the Black Lillies are both on my radar. I will be trying to review some of the records I missed throughout the year in the next month now that the new releases have slowed down. Picked up TOM Buller’s cd last week when he was back in Omaha. Very solid, old school, drink your pain away country. Between that and Whitey’s new drop and The4OnTheFloor and you scratch all three itches: the classic country, outlaw country and straight up rock-n-roll. I’m in a 3 cd rotation until further notice and loving it.